The US Food and Drug Administration (FDA) has granted 510(k) clearance for Roche’s CINtec histology test to diagnose cervical disease in women. Claimed to be the only clinically validated p16 biomarker test, the pathologists can use CINtec test along with hematoxylin & eosin (H&E) staining to identify women for providing treatment for cervical pre-cancer. CINtec histology test has been developed to detect high-grade cervical disease in women who have had a tissue biopsy. The approval was based on the results of cervical tissue adjunctive analysis (CERTAIN) study. Roche is also carrying out ATHENA and PALMS trials to assess the efficacy of its cervical cancer portfolio. Through assessing cervical tissue biopsy, CINtec histology test will offer conclusive visual confirmation whether the pre-cancerous lesions are present or absent. CINtec histology test adds to the firm’s cervical cancer portfolio, which also comprises of cobas HPV test and CINtec Plus cytology test. Roche’s CINtec Plus cytology will enable to identify transforming HPV infections, helping clinicians to stratify patients for follow-up or intervention. The World Health Organization (WHO), the College of American Pathologists (CAP) and the American Society for Colposcopy and Cervical Pathology (ASCCP ) have recommended the use of p16 immunohistochemistry to detect pre-cancerous cervical disease. 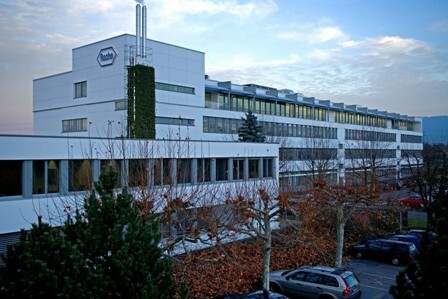 Roche Diagnostics CEO Roland Diggelmann said: “The CINtec Histology test will help physicians make informed decisions as to the best course of care for patients with high-grade pre-cancerous cervical disease. In January, Roche secured FDA approval for its Anti-Müllerian (AMH) assay to assess ovarian reserve. Through direct de novo decision, the approval was granted for Elecsys AMH test, which will enable doctors to help women looking to become pregnant or struggling with infertility. Image: Roche Diagnostics’ administration and R&D buildings in Rotkreuz. Photo: courtesy of F. Hoffmann-La Roche Ltd.